Following the presidential decree, signed by the Russian President on 10 March 2014, listing nearly 3000 names of British veterans due to receive the Russian state award of the Ushakov medal, the first group of twenty British veterans of the Arctic Convoys will be receiving their medals on board HMS Belfast, on Friday 9 May 2014. On Friday 9 May 2014, a commemorative ceremony will be held on board HMS Belfast to mark the 69th Anniversary of Victory in the Second World War and the Arctic Convoys (1941-1945). During the ceremony, twenty British veterans will be awarded the Russian State Naval award for bravery - the Medal of Ushakov. They are: Alan Florence, Albert Foulser, Anthony Snelling, Arthur Hutton, Arthur Lauricks, Arthur Waddington, Austin Byrne, Charles Erswell, Cyril Banks, David Kennedy, Ernest Davies, Ernest Kennedy, Frank Bond, Fred Udell, Gordon Long, Harry Card, James Pitts, John Hurst, Leslie Perks, Stanley Ballard. The hero veterans of the Royal Navy and the Merchant Navy will reunite with their Russian Navy shipmates on board HMS Belfast to celebrate their joint Victory and to commemorate their absent friends. The ceremony will be attended by distinguished guests, including the former head of the British armed forces Lord David Richards and Minister of State for Justice and Civil Liberties Rt. Hon Simon Hughes MP. The traditional Pusser’s Rum ‘Up Spirits!’ and Russian Standard Vodka ‘To Victory!’ toasts will follow the minute’s silence with cannon salutes in honour of the Arctic Convoy heroes. A variety performance by British and Russian musicians including soloists Anne Allen on the flute and Litsa Tunnah on violin will be held on Friday 9 May 2013, at 18:30 in The Hay’s Galleria, London SE1 2HD to commemorate the extraordinary contribution made by British and Russian sailors in the treacherous conditions of the Arctic Convoys 1941-1945 . Victory Day London event is held in partnership with VTB Capital, Petropavlovsk Plc and SCF Sovcomflot. please call 07779 099 210 or email your queries. 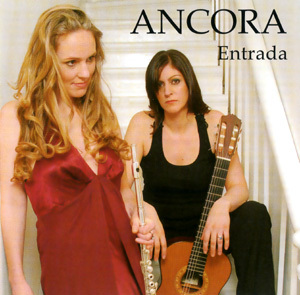 The Ancora Duo have had several successful events in 2011 and we would like to extend a huge thank you to all who came to a performance or helped out in a variety of ways for such wonderful support. Jan 21st Kensington - evening festival of Romanian music and art - an incredible £18,000 raised for Grain of Wheat charity. The Ancora Duo headlined Friday night at Brightlingsea Music Festival! 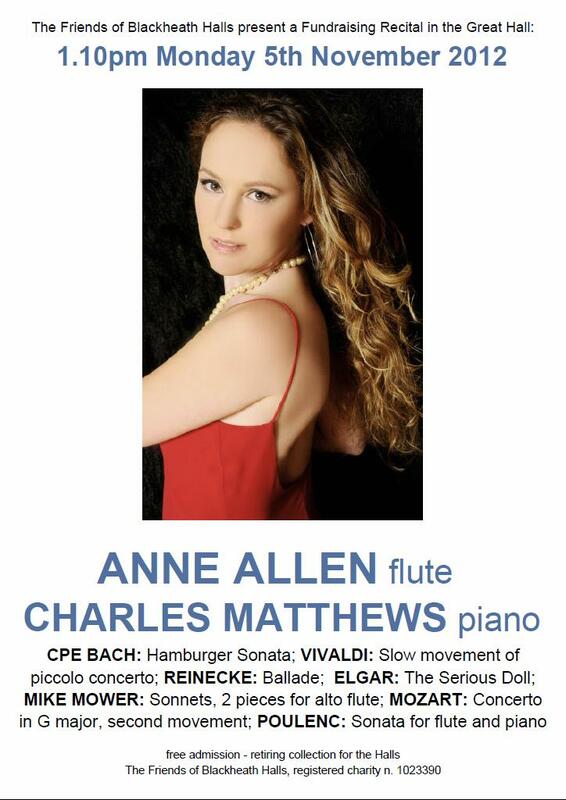 Entrada, The new CD by flutist Anne Allen and guitarist Sarah Freestone, together known as The Ancora Duo, has been received with an amazing response, thank you everyone! We have also had fantastic reviews and are looking forward to releasing it internationally in due course. If you haven't heard Entrada yet, there are clips on the CD page and if you would like to order a copy just send me an email through the contact page and a copy of Entrada will be on its way!